Tune in today at 4pm (Pacific Standard Time) when Jeff Keith of Tesla phones in from the road. He'll talk to Junkman about the band's tour and their new album, Forever More. 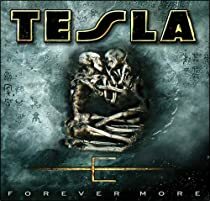 Purchase your copy of Forever More now in the KNAC.COM More Store. Click here.